Got Cabin Fever and want to get Creative? These classes are here to inspire you to start your creative journey! I know You've been thinking about taking a class for a while! That's why you are here! Call today 401.816.0000 to schedule a 1/2 Day or Full Day weaving class to make something for yourself, or to give someone! Expand your skills while having some fun with fiber. Personalized individual and small group classes (2-3) due to space limitations, with advance notice. Classes are scheduled on a flexible basis to fit your calendar, depending on equipment availability. Examples & general beginner class descriptions and current schedule below, although subject to change. Advanced intense 2-4 day workshops on setting up looms and designing your own projects are also available. Call 401-816-0000 or email aclhandweaver@gmail for more information. Beginning Weaving: Come & Make a Small Mat for your Table, or a small Coin Purse or Phone Pouch with recycled rags or yarn. Beginner level. No experience necessary. It’s as easy as 1,2,3! Looms are Pre-set with a warp so you can just come in and weave! Sign up now to reserve. Materials included. Sign up now to reserve space on a loom this week, or make an appointment for another time. Space is Limited each day. Call for details 401-816-0000. Simple Scarf or Long Table Runner Weaving: Full day class. Beginner level. Sign up for a full day of weaving to make a Simple Cotton Scarf, or longer Table Runner. No experience necessary. Most students complete a 4-6 foot piece in 1 day. Materials included. Reserve space on a loom by calling today. Rolling admission to fit your schedule. Space is Limited. Call for Details 401-816-0000. Learn to plan a simple scarf or table runner, set up the threads on the loom and weave off a finished piece from start to finish. Basic materials included. Quick set up of a simple project on your own loom, reviewing planning, warping and threading, which you will be able to take with you to weave at home. Basic materials included. These classes are guidelines to start your creative journey. Call to make arrangements! Rolling admission and flexible scheduling. Personalized individual and small group classes (2-3) due to space limitations. Bring along a friend for a fun day together! 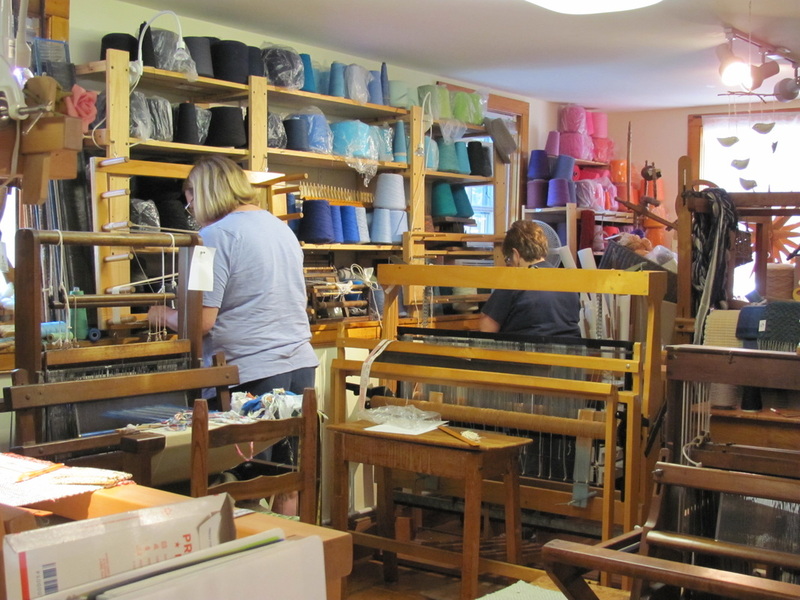 Looms are available for rent by the week for independent use, in studio or for home use. Please check with studio schedule for availability to reserve space and equipment. Costs cover general wear and maintenance. Beginner Classes include general materials to start you off. Returning Students and Advanced Classes, materials can be ordered independently or available for purchase. Get Your Creativity on and make something for Yourself or something to Give! Click here to see more pictures on Facebook!